Home › Health › Asthma – What Really Causes It? Asthma – What Really Causes It? Statistics related to asthma show that 17 million U.S. residents are affected by this disease each year. For kids, it’s one of the major reasons why they suffer chronic illness. The death rate from asthma is also 180 percent higher according to a report from EPA. However, asthma can be controlled, treated and even prevented through a number of treatment options. For example, consumers can buy generic Advair or some other effective drug or supplement similar in nature to prevent the attacks. Allergies are considered to be commonly associated with asthma. Those suffering from asthma face allergies from mold, dust mites, animal dander, tree, grass and even particles of cockroach. Cockroach particles may increase the risk of asthma for kids four times more, so children in houses with more cockroach droppings are more likely to develop the disease. Asthma after exposure to the dust commonly results from dust mite allergy. Apart from the allergies mentioned above, people with pets can also develop allergies that can lead to asthma. An example comes from those who love to keep housecats, as cat fur is very potent for some individuals. Individuals can also be sensitive to certain foods, which can lead to the triggering of asthma. For example, those who are lactose intolerant may suffer a reaction when taking dairy products, while some people are also allergic to gluten. Additives and preservatives that are being used in different foods that are processed and packaged are becoming a common cause of triggering of asthma. The best thing to do in case of food is to go as natural and organic as possible. Cigarettes and smoking have been labeled as life threatening, and common advertisements are also followed by the message ‘smoking kills’. However, what’s not widely known is that people who smoke are more prone to developing asthma than people who don’t. 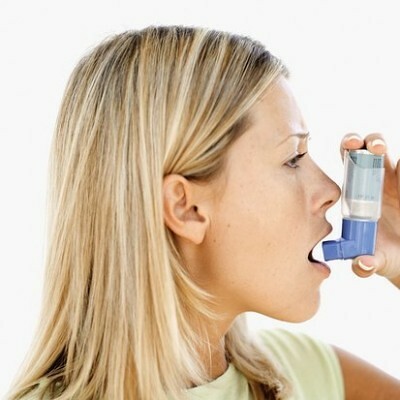 Smoking with asthma is even worse, and it can raise the symptoms of wheezing and coughing. People suffering from basic level of asthma are recommended to avoid smoking and quit it altogether if they already do smoke. The western lifestyle and the focus that has been placed on sanitation and hygiene has changed the living conditions and reduced infections that were once common in early childhood. However, this has also changed the developing of immune system in early years. Young children don’t experience the same types of exposures as children of the past did, so their immune system may have less ability to withstand diseases like asthma. This case is mostly true for the children who have the condition going on in their family. Individuals who are employed in manufacturing or agricultural sector face exposure from chemicals. Chemicals such as nitrogen oxide can be inhaled from motor vehicle emissions as well as burning of oil and coal in power stations. Other form of chemicals includes formaldehyde gas and volatile organic compounds. Those working in areas where they have the risk of facing chemicals should ask their employers to provide safety gear (which may already be included in the work-contract).